I never thought much about how to be a housewife. I grew up, went to college, went to grad school, worked, then got married and had children. Becoming a housewife just kind of happened. I didn’t have to plan, date men whose pictures I sent to my father, I met someone, choose who to love and got married. 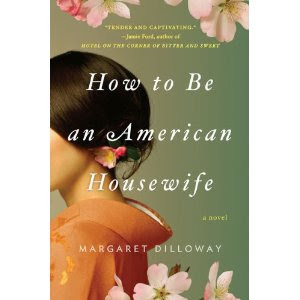 How To Be An American Housewife takes us through the life of Shoko a sixty year old Japanese women who gave up her life and family in Japan to become “An American Housewife” and her thirty-something daughter Suiko. Shoko is estranged from her brother Taro and wants to reconnect before her heart fails her. Shoko, unable to go to Japan herself, enlists her daughter Suiko to go in her place to find and reconnect with Taro. Suiko goes with her daughter Helena and connects for the first time with her Japanese heritage. Rarely do I find a book that I just can’t put down. This was one of those books. Shoko looks back at her life, at her disobedience, and there is a great sadness in everything she says. No exactly regret, but more of a “what if” she lived for herself, married who she wanted, and had a different life. Suiko’s journey is that of feeling she is never going to be good enough for her mother. 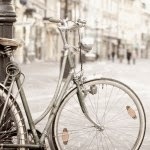 She feels that she is going nowhere, is already divorced with a teenage daughter in her thirties, and can never . Both women have to come to terms with their lives, their choices, and their decisions in this powerful journey that shows the true meaning of family.